Leading hospitality specialist, BaxterStorey, has appointed Mack Allan as Regional Managing Director for the South West and Wales as it seeks to strengthen its presence in the growing region. BaxterStorey already has a significant Client base in the area, including Burges Salmon, ONS and Nationwide. Since taking on his new role, Mack has already overseen the opening of the company’s new regional office, based in Bristol – a fantastic hub for Mack and his growing team, as they develop a stronger presence in the region from which to support clients. Beginning his career as a chef in the armed forces, Mack progressed into management at British Aerospace Filton and landed his first Operations Manager role covering the wider Bristol area. 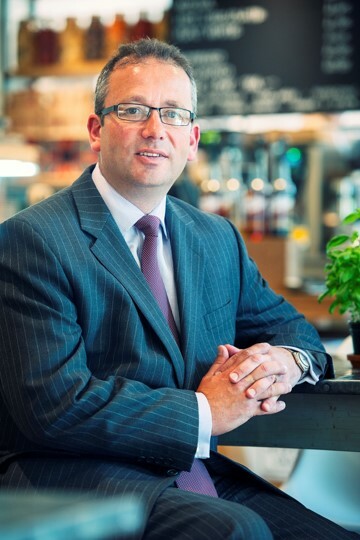 Mack joined BaxterStorey in 2000 and has progressed through various leadership roles in Reading, London and Scotland. Mack’s last role was Regional Director for Scotland where he was responsible for supporting his clients and extensive team whilst developing new opportunities for the business. He now returns to the area where his career first took off. “Contract catering has moved on so much since I joined the industry and it is now recognised that businesses like BaxterStorey take pride in providing their clients with high quality, fresh, local and seasonal ingredients.